Each time I glimpse the lovely Queen Mary, I am filled with awe at the majesty, beauty and history of this celebrated ship. 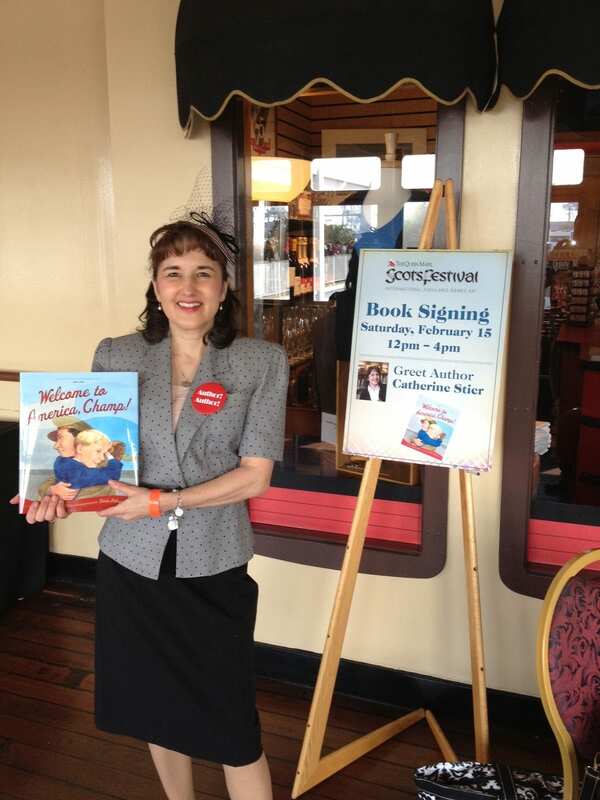 On February 15, I had the great privilege of returning to the Queen Mary –the setting for my historical fiction picture book Welcome to America, Champ!–this time as a guest for a “Greet the Author” event. Welcome to America, Champ! 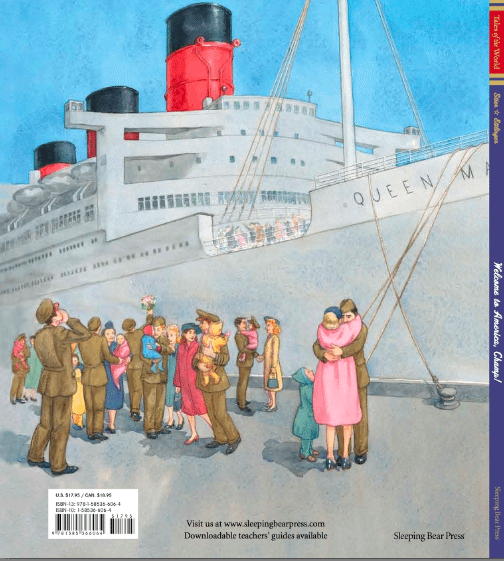 with stunning illustrations by award-winning illustrator Doris Ettlinger, takes place on the Queen Mary following WWII and during the “Brides and Baby” voyages. At that time in 1946, an armada of ships took part in what was also known as “Operation Diaper Run,” transporting tens of thousands of European war brides and war babies of American and Canadian servicemen to North America. The Queen Maryalone transported 22,000 war brides and babies in a seven month span. 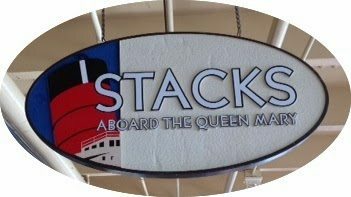 The Stacks onboard shop hosted the “Greet the Author” event during the Queen Mary Scottish Festival, with thousands in attendance. I met people from many parts of California — and the world. 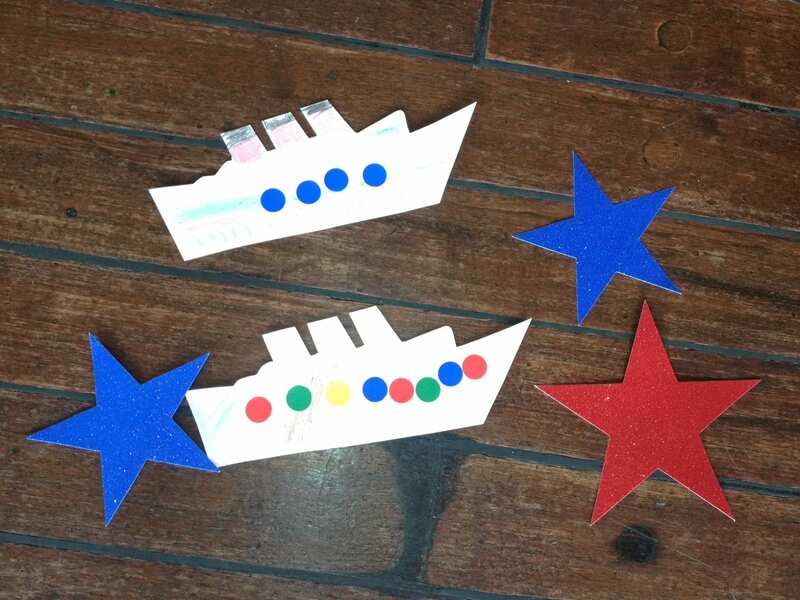 Thrilling bagpipe music played that day as kids stopped by to create their own Queen Mary craft. 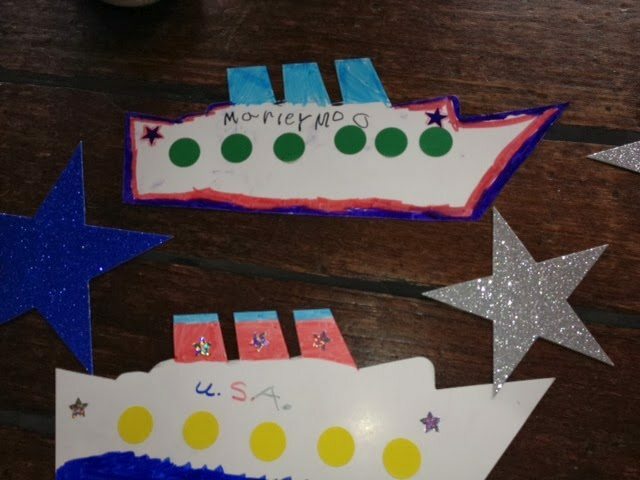 You can see here some of their creative work. Lovely weather, a festive atmosphere and a remarkable location made for a most memorable day. MEET ME AT THE QUEEN MARY! I am so excited to be the guest author at a book signing on the Queen Mary, now a hotel and attraction in Long Beach, California. 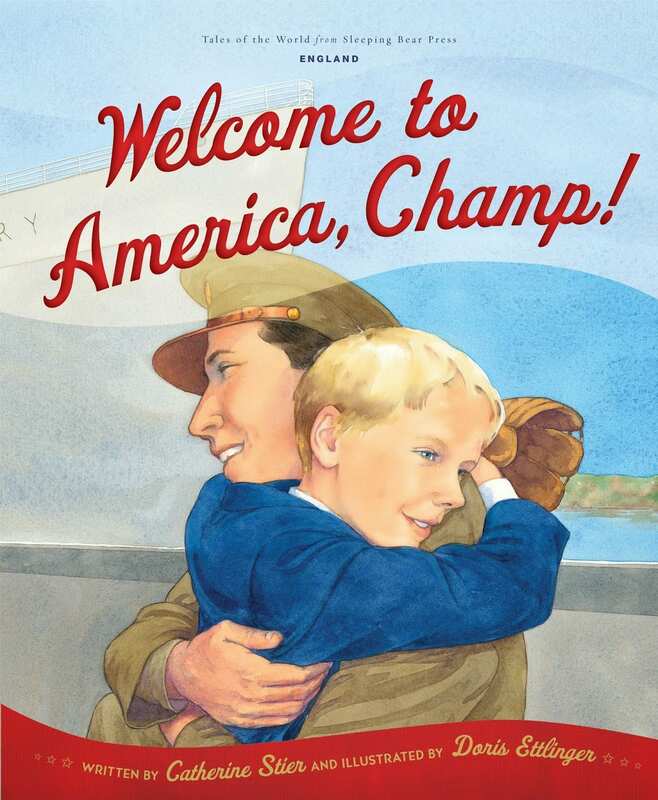 My historical fiction picturebook, Welcome to America, Champ! takes place on the Queen Mary, just after WWII during the “Bride and Baby Voyages.” It will be like stepping into the book – award winning illustrator Doris Ettlinger created the lovely illustrations for this title. 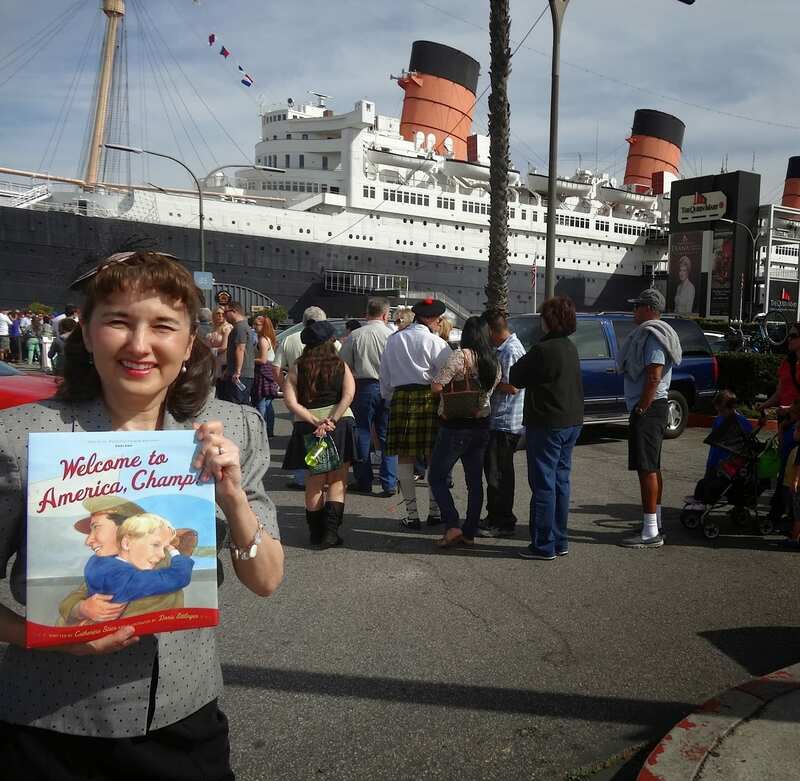 I’ll be conducting the book signing from noon – 4 p.m., February 15, during the Queen Mary Scottish Festival – 10,000 people attended this two-day event last year. This month marks the anniversary of the Queen Mary’s first “Brides and Baby” voyage, transporting the European (including Scottish) War Brides of American and Canadian servicemen to North America. Many ships took part in these “Operation Diaper Run” voyages, but the Queen Mary alone transported 22,000 War Brides and Babies during a 7 month span in 1946. What an honor it would be to meet some of these WWII War Brides and Babies that day!